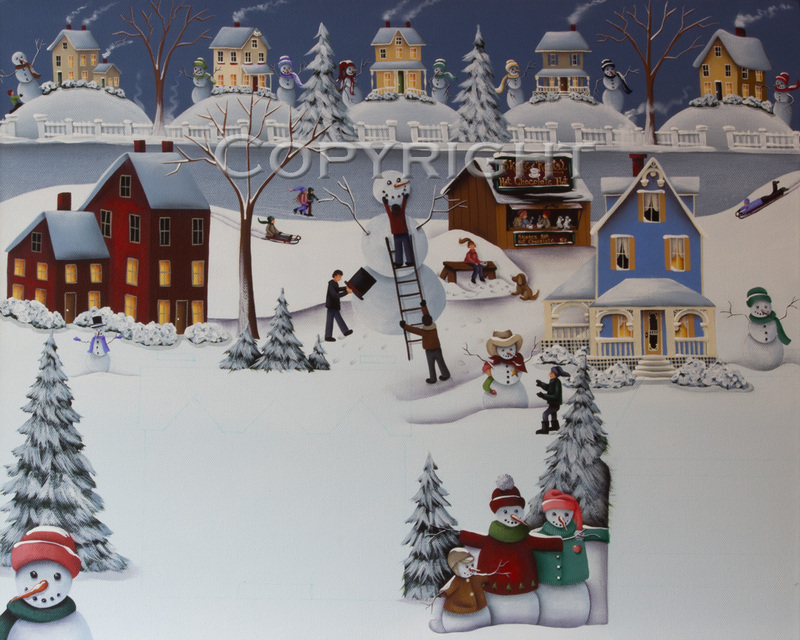 Two more houses are being added in the front between the snowmen. I'm working on them right now, but wanted to give you another sneak peek. I will be having a "giveaway" as soon as I finish this painting. An 8" x 10" print will be given to the reader with the best title for this painting. I'll be back with the finished painting soon! I love your winter time scenes best...oh and the Fall ones! lol This one looks like fun! I'm trying to think of a title already! This is so charming! All of your work is wonderful. You have such a nice style. Oh, my goodness, now I need to think of a title :).